Jump Force news: More Yugi pics and HxH characters join the fray! Hello anime fans! I bring you good news in the world of anime and video games! Remember the old news when I mention Yugi from Yu-Gi-Oh! was going to be in the upcoming game Jump Force? I got an update revealing that Yugi will have the ability to summon his iconic monsters to assist him battle. Based on the pictures online, he will be using Dark Magician, Dark Magician Girl and one of the Egyptian God Monsters Slifer the Sky Dragon. Bandai Namco hasn’t reveal any information on the gameplay, but I would use you could swap out monsters and each one has their own fight style and Slifer might be an ultimate attack. Another important news is that we are getting more new characters in the game and they are from Hunter x Hunter. 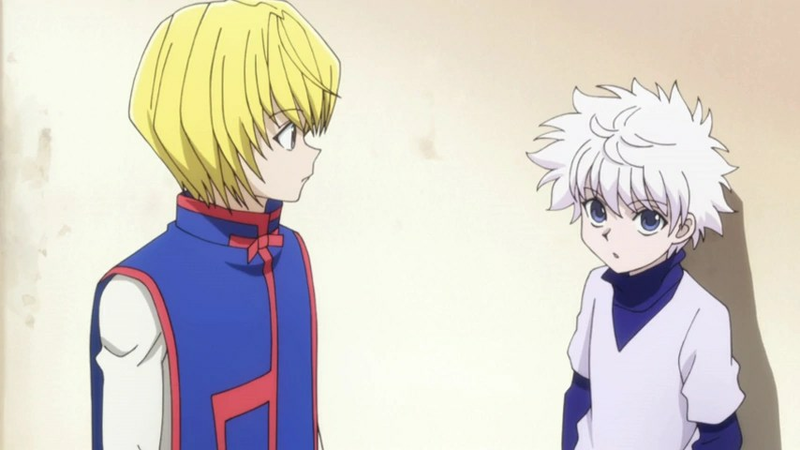 Revealed online, Gon’s friends Killua and Kurapika are joining the fight. Either you want to play as an assassin or a fighter seeking to avenge the Kurta Clan, these kids mean business. Last but not least, it’s confirmed that Goku’s transformation SSGSS (Super Saiyan God Super Saiyan) or Super Saiyan Blue will be used. If you think Super Saiyan isn’t enough, use this form. Super Saiyan Blue made it’s first appearance in the movie Dragon Ball Z: Resurrection ‘F’ and it made more appearances in the TV series Dragon Ball Super. Tagged Dragon Ball, Hunter x Hunter, Jump Force, Yu-Gi-Oh! Yugi should be a pretty fun fighter. Kind of reminds me of Yuna from Dissidia 012. I can totally see that. He could be a summoner character who can summon monsters base on skills. I was also going to point out that he might play like Pokemon trainer in Super Smash Bros.